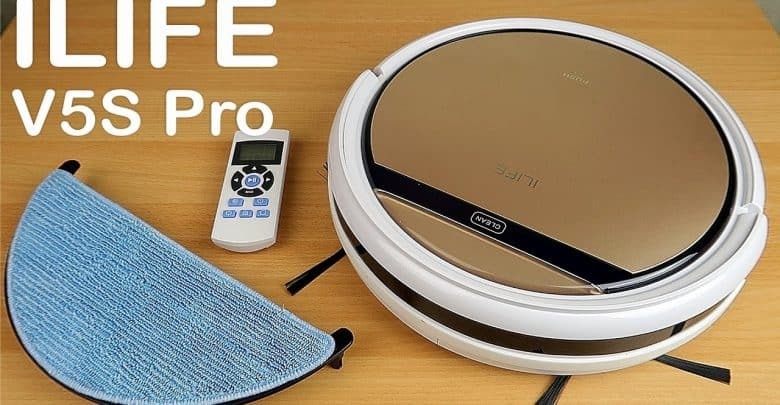 Through time iLife has introduced a variety of affordable and effective cleaning bots. One of these was the V5s. After a time, they updated the version to V5s PRO, which I have reviewed one year ago. The new iLife V5S Pro is the most recent update of this model. 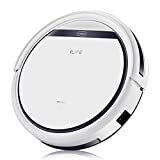 Available for half the cost of a mid-range Roomba, you may be apprehensive about the functionality and quality of the V5S Pro. I’m pleasantly surprised at what this robot can perform to the purchase price. 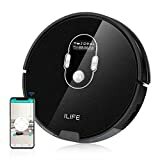 And a good deal of other owners who have used a Roomba before say that the V5s pro is just as great. 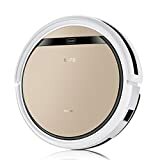 Due to its strong suction, the V5s pro robot picks up everything From dust to pet hair. The V5s Pro is only helpful for cleaning hard floors, however. It doesn’t vacuum rugs, not thin-pile ones. This is because it’s only two small side brushes made to sweep-in dirt and pet hair from a difficult floor. These brushes are inefficient on a carpeted floor. 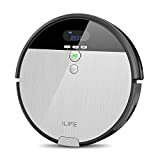 There’s also no roller brush under the robot to pick up pet hair on carpeting or to agitate dust for simple vacuuming. Great for most bare floor surfaces – hardwood, ceramic tile, cement, etc. It makes use of the same 2600 mAh Lithium Ion battery which we can e.g. see in the V7S Pro. This allows it to works continuously for up to 2h and a half, which is more than the latest Roomba. On a single charge, it delivers a run time of 140 minutes, which is good enough to clean 2000 to 2500 sq. ft. of floor space. It recharges completely in less than 5 hours. Considering these values, I would say the battery is excellent. And what’s even more amazing, the auto-recharge mechanism worked well in most of the tests. The charging bay was reached even from 10 ft. away. When it comes to dust bin capacity, the V5S Pro fails to impress. It is fitted with the same 10 oz (300 ml) tank that comes with the much older iLife V5. This means if you have a big house or a home that tends to get dusty, cleaning the bin will be a much frequent affair. The bin capacity can be a deal breaker as the iLife V7 comes with 500ml tank capacity. Even older models such as the A4 and A4S are fitted with 450ml tanks. This is certainly an area where iLife should improve. However, there is something new to report here. The liquid bin is completely separated from the dust bin, and it has a special mechanism which distributes water better than previous versions. Visually, the iLife V5S Pro is almost a clone of the earlier V5 PRO/V5. It is notably slimmer than most robo vacs, rising only 2.76 inches off the ground. This dimensional advantage allows it to go underneath furniture and other tight spaces with much ease. It has a diameter of 11.81 inches, which is similar to the A4/A4S, but much smaller than the V7S Pro. It weighs 4.9 lbs. A feature where the iLife V5S does not compromise is the filtration system. The first level of filtration is ensured by a plastic filter. On the second level, it’s fitted with a HEPA filter, which catches 99 percent of all dust particles. It can even filter particles that are as small as 0.3 microns. The filtration system is efficient enough to capture microscopic allergens and odor-causing bacteria.